A mass immunisation campaign is needed, and a dedicated effort to lift dismal health standards in the country. 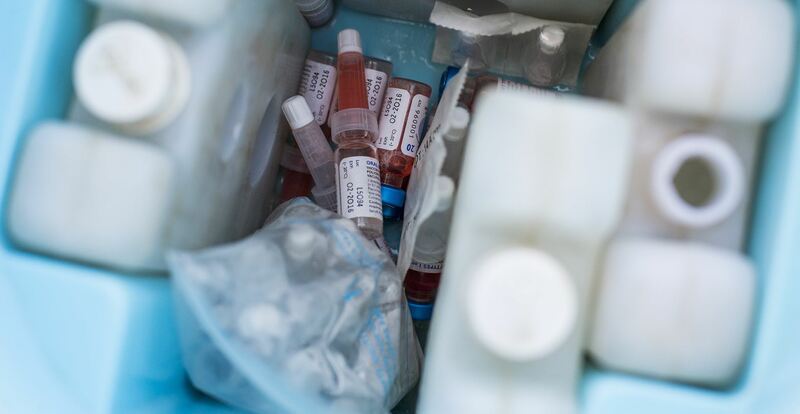 The news of pulse polio resurfacing in Papua New Guinea has created new challenges for a public healthcare system already confronting many related health problems. Polio virus is a potentially deadly disease that can spread through communities, causing paralysis and disability, mostly among vulnerable young children. The World Health Organization (WHO) has confirmed the outbreak, almost 18 years since PNG was declared a polio-free nation. The polio outbreak comes at a time when the country is also facing huge challenges from diseases such as malaria, tuberculosis (TB), cancer, diarrhoeal diseases, pneumonia, and HIV/AIDS. Papua New Guinea is already ranked by the WHO as having the worst health status in the Pacific region. The polio outbreak comes at a time when the country is also facing huge challenges from diseases such as malaria, tuberculosis (TB), cancer, diarrhoeal diseases, pneumonia, and HIV/AIDS. By landmass, population and economy, PNG is the largest nation among Pacific island countries, yet the country’s health indicators have either stalled or gone backwards over the past 30 years. There is only one doctor per 17,068 people in PNG, which is exceedingly insignificant. Comparing PNG’s doctor-to-person ratio with neighbouring countries’, such as Fiji (one per 1000) and Australia (one per 302), indicates just how poor the prevailing health conditions have become. PNG has 0.58 health workers per 1000, whereas the WHO recommends 2.5 health professionals per 1000 people for maintaining primary healthcare. UN Resident Coordinator and United Nations Development Programme Resident Representative for PNG Gianluca Rampolla described the polio outbreak as very alarming, although he was confident it could be controlled with effective measures. Experts blame poor sanitation and a lack of access to safe water across the country as the major causes for virus outbreak, as well as the lackadaisical attitude of the health authorities towards immunisation coverage. Presently, only about 30% of children in PNG are immunised against polio. PNG National Planning Minister Richard Maru was reported in The National on 10 July as saying the government had 18 months to increase this to 80% coverage. John Mackerell, a doctor in Madang province, has witnessed the collaborative effort of the Department of Health, the WHO, and other donors to tackle this latest outbreak. But he also highlights the repeated outbreaks of pertussis (whooping cough) in PNG due to the careless attitude of local health officials, and said a dedicated team should be created to rectify the negligence of authorities in allowing the vaccination coverage rate to decline. The is no cure for polio, only prevention through immunisation. Poliovirus is present in Pakistan, Afghanistan, Nigeria, and now in PNG, and as long as a single child remains infected, the outbeak remains a challenge. It is very easy for the virus to spread among the unimmunised population. These countries have to start a new battle against the debilitating polio virus disease which the world thought was eliminated, but is now resurfacing. India might offer a model for eradication. While it was once a hotbed for the polio virus, a massive, nationwide campaign of eradication in India saw it eventually declared polio-free in 2011. But precautionary measures are still in place. Given India’s population is 1.2 billion and PNG’s is only 8 million, surely PNG can likewise apply stringent measures against polio. The latest news, research and commentary from around the region.